Filmmaker JT Singh skips the gleaming skyscrapers and focuses his camera on the modest alleyways of the old city. The city of Shanghai, China’s pride and joy, is a picturesque place—even with its permanent backdrop of thick haze. Tourists flock to the glitzy Bund with their cameras, and daredevil urban explorers come to scale some of the world’s tallest towers. But the real charm of the city comes from the communities nestled within the cracks of Shanghai’s historic neighborhoods, says JT Singh, a media artist and urbanist. He’s the filmmaker behind “Shanghai Forever,” a new video that takes viewers on an intimate journey through the city’s alleys to peek into the lives of locals: a man tending to his plant, a woman chopping up vegetables, a child doing homework. The scenes are seamlessly connected through Singh’s signature fluid transitions that keep viewers spellbound. Photographer Rob Whitworth portrays the tremendous energy of China's largest city. 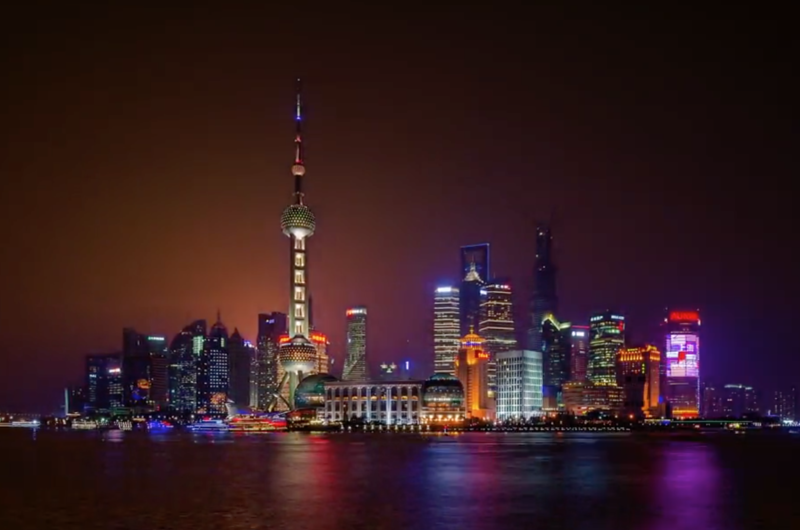 This video is the third and likely final installment of Singh’s series on Shanghai, made for the city’s tourism board. His first video, created in 2013 with photographer Rob Whitworth, focuses on the city’s immense infrastructure. In the second, he weaves through popular streets, walking against the grain of passersby. His secret to capturing these personal moments? “I walk until way beyond when my feet start hurting,” he says. “I walk a lot in cities, into unusual spaces ... to understand not just the aesthetics, but also the economics and creative fabric of the city.” He adds that the city’s shikumen architecture, a blend of traditional Chinese courtyard houses and Western-style row houses, made wandering into Shanghai’s historic neighborhoods especially easy. Long alleyways between houses are a hallmark of the buildings there. Most of these neighborhoods were demolished when Shanghai started to quickly urbanize in the 1980s. But the remaining ones date back to the late 19th and early 20th centuries, and are unique to the city. Local governments have placed roughly 200 of the old neighborhoods on a preservation list, according to CCTV, and some buildings have been earmarked for renovation as Shanghai prepares to submit them for UNESCO world-heritage status. “My goal was to document [the neighborhoods] before they all disappear,” says Singh.